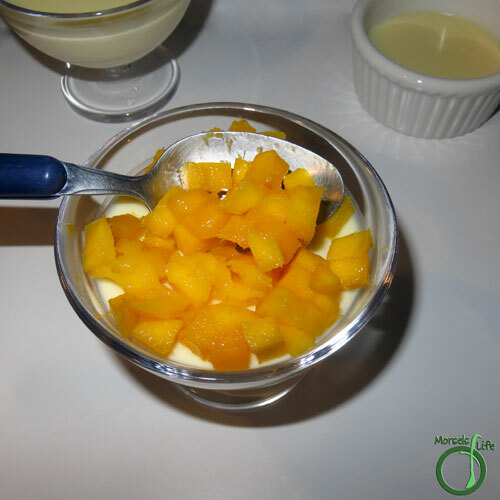 Wow your friends by making your own sweet, creamy, and luxuriously elegant mango panna cotta - it's easier than you think, and only 5 ingredients! It's time for SRC again! And as part of the Secret Recipe Club, we get assigned a blog each month. I have to say, I'm glad to be back after taking a bit of a break to get some things changed up on the blog, along with a redesign. This month, I got Lauren's blog, From Gate to Plate - where agriculture meets culinary. I enjoyed her blog since she's got so many wonderful recipes, primarily made from scratch. She even used to live on a 200 acre farm - jealous! Exploring around her blog, I saw a Strawberry Panna Cotta and knew I just had to make it, especially with all the sweet, sweet strawberries around. Except you see how my recipe title's Mango Panna Cotta? Yeah. Unbeknownst to me, we'd actually eaten all the fresh strawberries we had. However, we did have some deliciously ripe mangoes, and they're so full of that wonderful, tropical flavor! 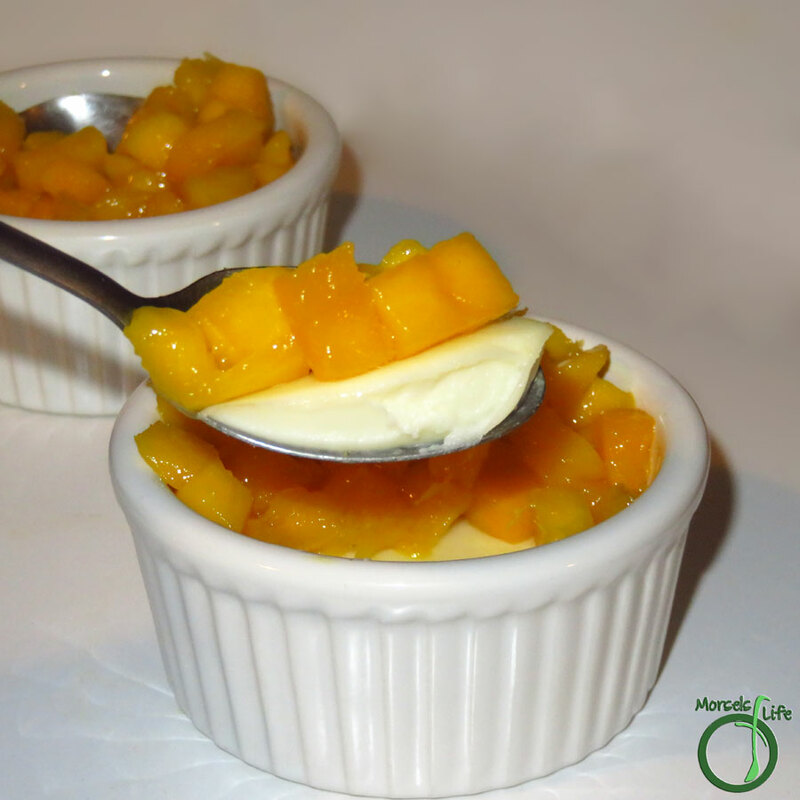 So I'm sharing Mango Panna Cotta with you all today! Panna cotta's actually something I've wanted to make for a while now, and can you believe Lauren's reminded her of cooking lessons she had - in Italy - in a castle! Can you say jealous?! What's something you thought would be complicated to make, but was surprisingly simple? 3. 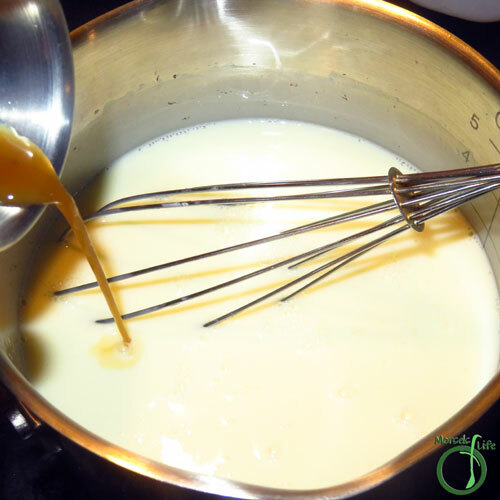 Once gelatin has softened, whisk together over low heat until gelatin and sugar dissolve. 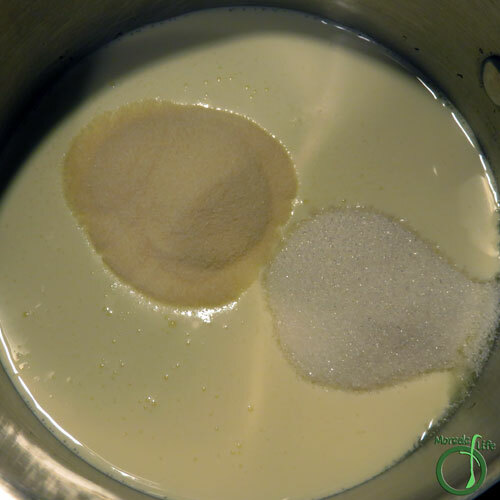 You want to dissolve the gelatin and sugar in the cream using as little heat as needed. 4. 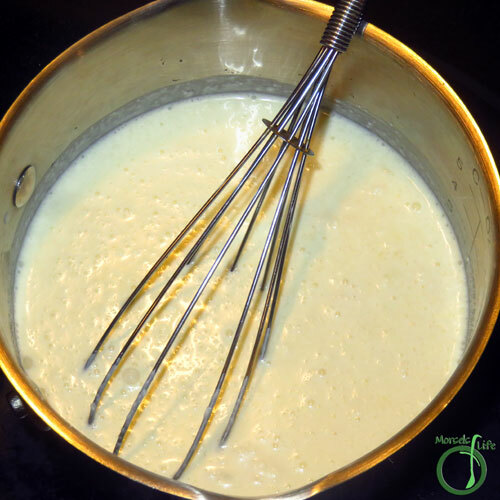 Whisk in vanilla extract. 6. Meanwhile, cut the mango into a small dice, and spoon on top of the set panna cotta. Mangoes are a great substitute for strawberries! Panna Cotta is on my list of things to make. I do believe it is time! This sounds so creamy and cool and good. Thanks for sharing! Most definitely all of those. :) Thanks for stopping by! Mmm - I love Panna Cotta! I've had panna cotta on my to-make list forever. Now that there is tons of fruit in season I really need to get on that! My thoughts exactly. :) I thought it'd be all complicated, but it's not! Beautiful! 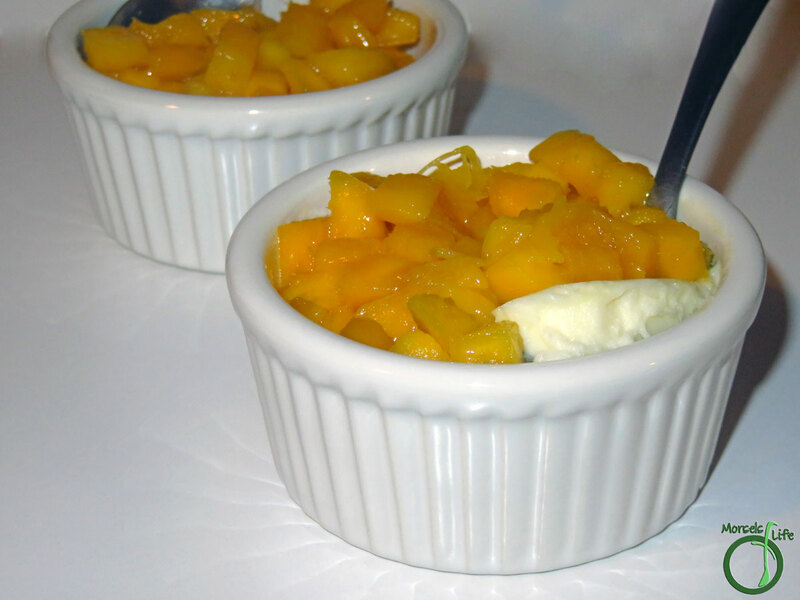 Never would have thought of Mango Panna Cotta. It's delicious too! :) Give it a try and see what you think. Sounds so easy to make! I'll have to put this on my must try list. Yum! 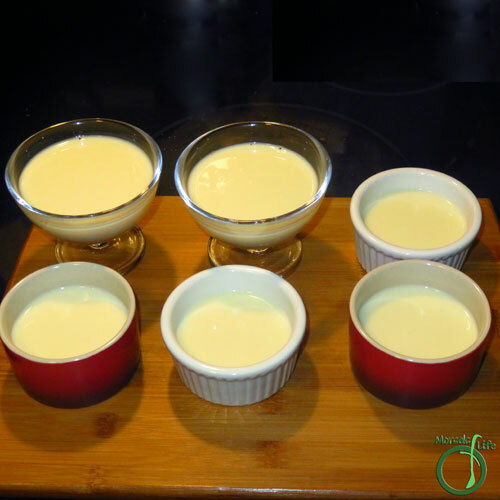 Definitely time I made panna cotta again and the mangos must have been a lovely substitute for strawberries - I can see this being great with either! 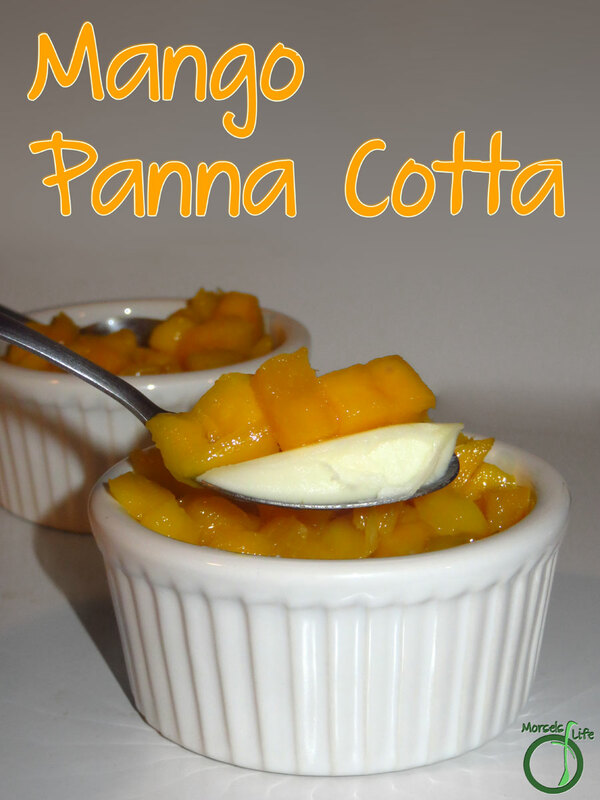 This looks stunning - I love panna cotta and the mango twist is a delicious idea. Thank you so much for sharing at the Delicious Dishes Recipe Party! We definitely liked the tropical mango flavor. :) Hope you enjoy! I definitely thought panna cotta was more complicated than that. I need to try it! Thanks for sharing at Throwback Thursday! 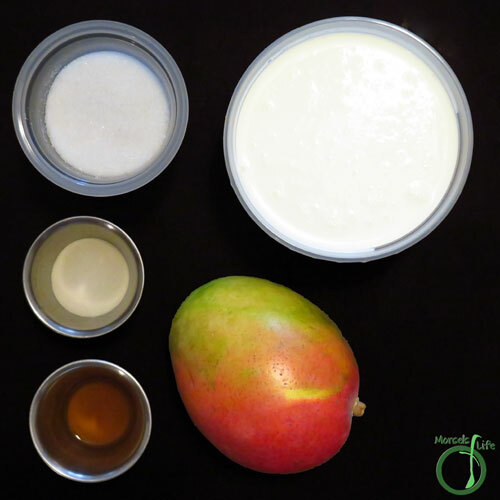 Wow, I have never had this, but have lots of mangoes so I need to make it. You know, I've never had panna cotta! I think I need to try it! Thanks for sharing on the What's for Dinner link up! I thought making Panna Cotta was going to be hard and time consuming! It's so easy and looks like you can use any fruit! I love mangos! Sharing this post from #Overthemoon Congratulations on being featured!